Ríshliocht ríthe Gearmánach (919-1024) ab ea Ríshliocht Ottonach. Tagann an t-ainm ó ainm an chéad Impire, Otto I (nó "Otto Mór"). Feictear ar an teaghlach seo mar an chéad ríshliocht den Impireacht Naofa Rómhánach. Toghadh Henry I Éanlaithe mar Rí na Gearmáine agus mar sin bhí a mhac, Otto Mór in ann bheith mar an t-Impire nuair a chruthaíodh an tImpireacht. Faoi réimeas an ríshleachta seo aontaíodh oirthear na bhFrainc faoin aon Impireacht amháin nuair a tháinig Lorraine, Saxony, Franconia, Swabia, Thuringia agus Bavaria le chéile. Cabhraigh aontú na Gearmáine le cruthú an Impireacht Naofa Rómhánach. Thosaigh ré na hImpireachta seo, a bhí mar mórchuid stair na Gearmáine go dtí an bhliain 1806, le corónú Otto Mór sa Róimh sa bhliain 962. 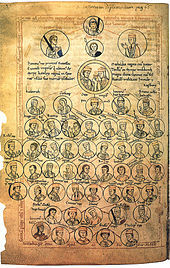 Theip ar athbhunú Impireacht na Róimhe faoi réimeas Otto III áfach. Tháinig deireadh leis an Ríshliocht le bás Henry II sa bhliain 1024 agus thit an corón go ríshliocht Salach. Phós Luitgard, iníon Otto I, Conrad Rua na Lorráine, Diúc Salach a chéile agus ba é a sin-gharmhac, Conrad II, Impire Naofa Rómhánach.